Current or history of cerebrovascular conditions, including but not limited to subarachnoid (430) or intracerebral (431) hemorrhage, vascular insufficiency, aneurysm, or arteriovenous malformation (437), are disqualifying. History of congenital or acquired anomalies of the central nervous system (742), or meningocele (741.9), is disqualifying. Current or history of degenerative and heredodegenerative disorders, including, but not limited to those disorders affecting the cerebrum (330), basal ganglia (333), cerebellum (334), spinal cord (335), or peripheral nerves (337), are disqualifying. History of recurrent headaches (784.0), including, but not limited to, migraines (346) and tension headaches (307.81) that interfere with normal function in the past 3 years, or of such severity to require prescription medications, are disqualifying. (a) Post-traumatic seizure(s) occurring more than 30 minutes after injury. (b) Persistent motor or sensory deficits. (e) Unconsciousness, amnesia, or disorientation of person, place, or time of 24-hours duration or longer post-injury. (f) Multiple fractures involving skull or face (804). (g) Cerebral laceration or contusion (851). (h) History of epidural, subdural, subarachnoid, or intercerebral hematoma (852). (i) Associated abscess (326) or meningitis (958.8). (j) Cerebrospinal fluid rhinorrhea (349.81) or otorrhea (388.61) persisting more than 7 days. (k) Focal neurologic signs. (l) Radiographic evidence of retained foreign body or bone fragments secondary to the trauma and/or operative procedure in the brain. (m) Leptomeningeal cysts or Arteriovenous Fistula. History of moderate head injury (854.03) is disqualifying. After 2 years post-injury, applicants may be qualified if neurological consultation shows no residual dysfunction or complications. Moderate head injuries are defined as unconsciousness, amnesia, or disorientation of person, place, or time alone or in combination, of more than 1 and less than 24-hours duration post-injury, or linear skull fracture. History of mild head injury (854.02) is disqualifying. After 1 month post-injury, applicants may be qualified if a neurological evaluation shows no residual dysfunction or complications. Mild head injuries are defined as a period of unconsciousness, amnesia, or disorientation of person, place, or time, alone or in combination of 1 hour or less postinjury. History of persistent post-traumatic symptoms (310.2) that interfere with normal activities or have a duration of greater than 1 month is disqualifying. Such symptoms include, but are not limited to headache, vomiting, disorientation, spatial disequilibrium, impaired memory, poor mental concentration, shortened attention span, dizziness, or altered sleep patterns. 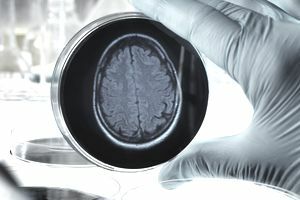 Current or history of acute infectious processes of the central nervous system, including, but not limited to meningitis (322), encephalitis (323), or brain abscess (324), are disqualifying if occurring within 1 year before ​an examination, or if there are residual neurological defects. History of neurosyphilis (094) of any form, including but not limited to general paresis, tabes dorsalis or meningovascular syphilis, is disqualifying. Current or history of paralysis, weakness, lack of coordination, chronic pain, sensory disturbance or other specified paralytic syndromes (344) is disqualifying. Epilepsy (345) occurring beyond the 6th birthday, unless the applicant has been free of seizures for a period of 5 years while taking no medication for seizure control, and has a normal electroencephalogram (EEG) is disqualifying. All such applicants will have a current neurology consultation with current EEG results. Chronic nervous system disorders, including but not limited to myasthenia gravis (358.0), multiple sclerosis (340), and tic disorders (307.20) (for example, Tourette's (307.23)) are disqualifying. Current or history of retained central nervous system shunts of all kinds (V45.2) is disqualifying.